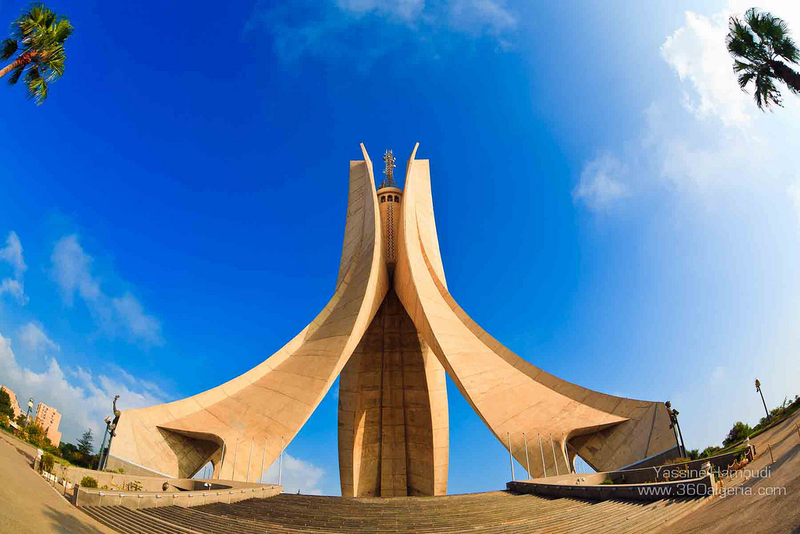 The High Arab Ins titute of Translation is located in Algiers, the political, economic and cultural capital of Algeria and one of its biggest cities. 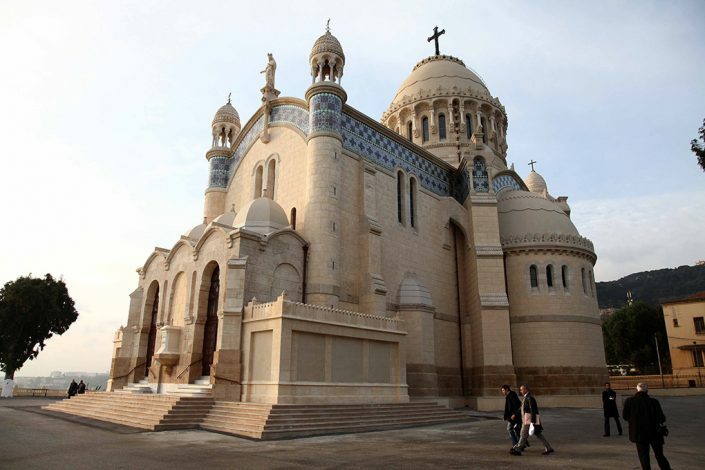 With an area of 230 Km square, it is known as “Alger la Blanche” or “Algiers the White” for the glistening white of its buildings as seen rising up from the sea. 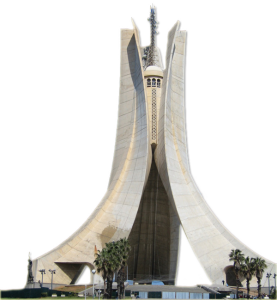 Algiers is situated on the west bay of the Mediterranean Sea, in the middle of the coastal road linking Tunisia to Morocco. Its cities are built on a range of hills overlooking the sea. On its flat plain are spread palm groves, lemon, orange and olive trees. Bab El Oued, Bab Al Bahr. 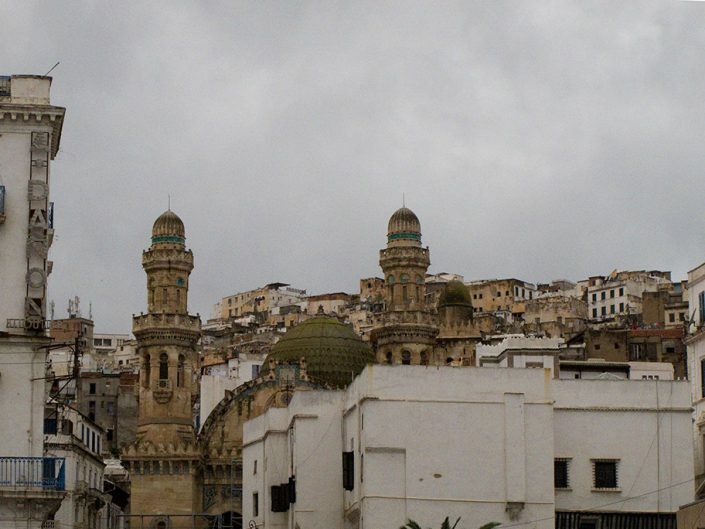 As for its monuments, one can’t but mention the ancient Casbah: one of the oldest neighborhoods of the capital built on the hill of Algiers and interspersed with narrow and curved streets. 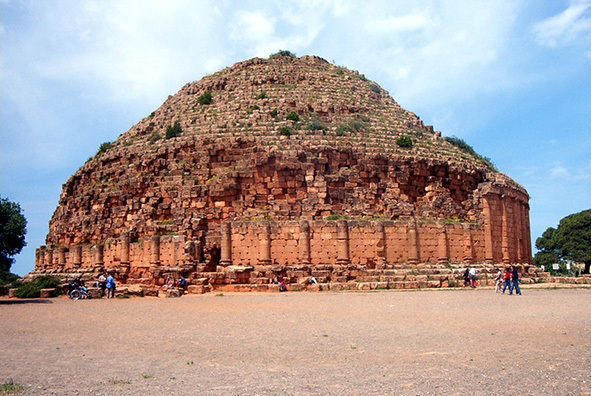 The Casbah goes back up to Phoenician era, then to the Roman occupation overthrown, afterwards, by the vandals before becoming a part of the Ottoman Empire. 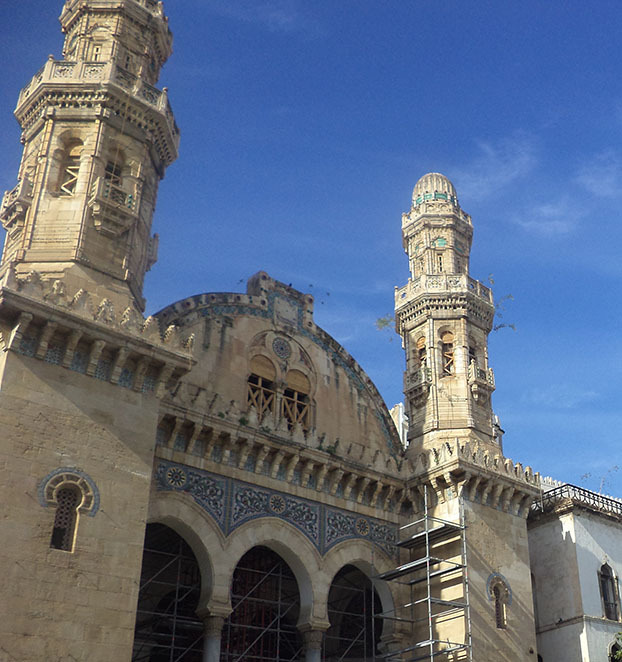 The city of Algiers has several mosques, the most important of them is the Djamaa Lekbir (Great Mosque) and the Djamaa Djdid (New Mosque) and the Mosque of Sidi Abdel Rahman Athaalibi and Katchawa Mosque. Another monument is Maqam Echahid : the Sanctuary of Martyrs, which is a commercial and cultural complex including shopping centers, restaurants Cinemas, a museum called Mat’haf Al Mudjahedinn (Museum of the war veterans) which contents reflect Algeria historical eras, and a village of craftsmen. 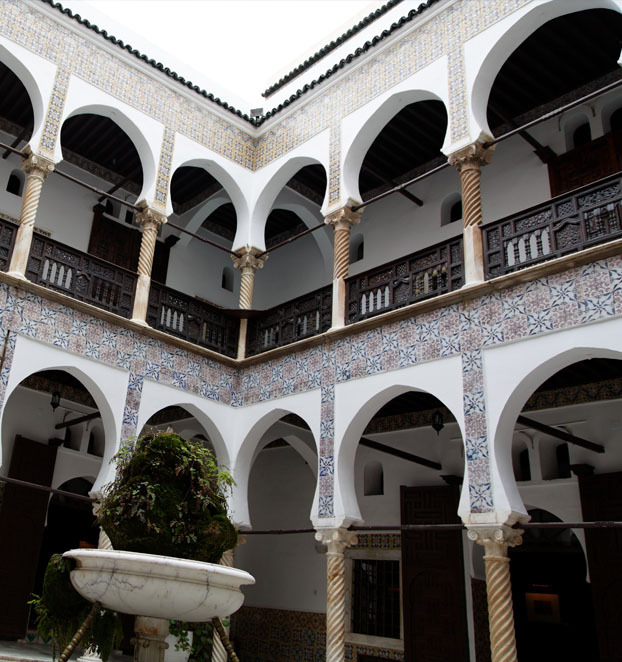 A milestone in the capital is the “Grande Poste”, which is a great masterpiece of Moorish architecture; as well as Emir Abdelkader square and the El Hamma garden with its animals and rich exotic plants. There are also one of the most outstanding monuments and famous churches on the coast of the Mediterranean, church of “Notre Dame d’Afrique”, in Bab el Oued, situated on a foothill overlooking the sea. Museum of Arts and Popular Culture. 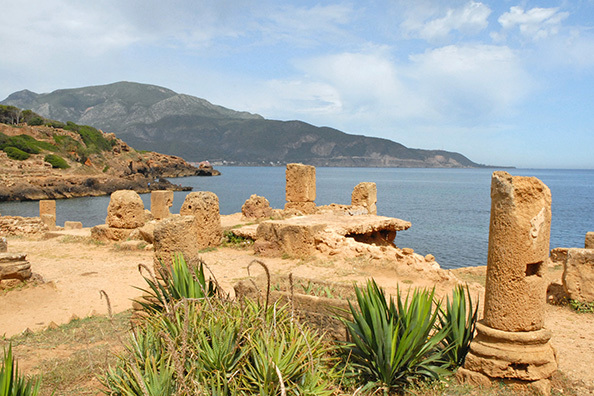 The Open Air Museum, Cherchell (Tipaza). 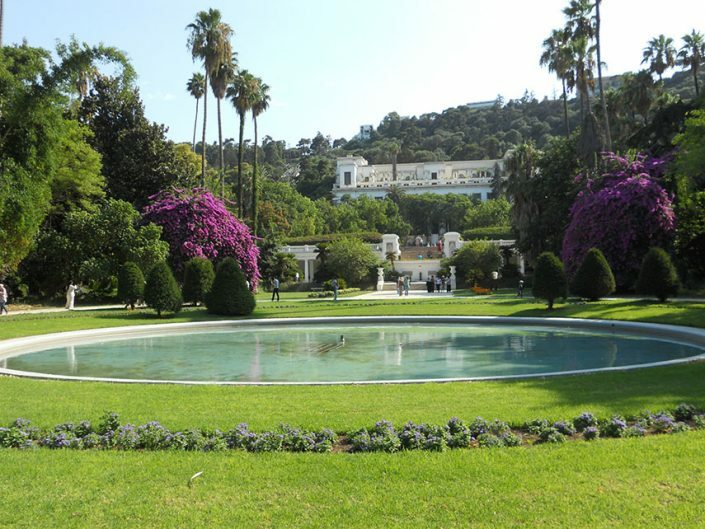 Located in El Hamma city, it is a luxuriant garden, a real ecological jewel extended at the foot of the Beaux-Art National Museum of Algiers, from Mohamed Belouazdad Street to Hassiba Ben Bouali Street over 32 Hectares. It is considered as one of the most important gardens of tests and acclimatization in the world. 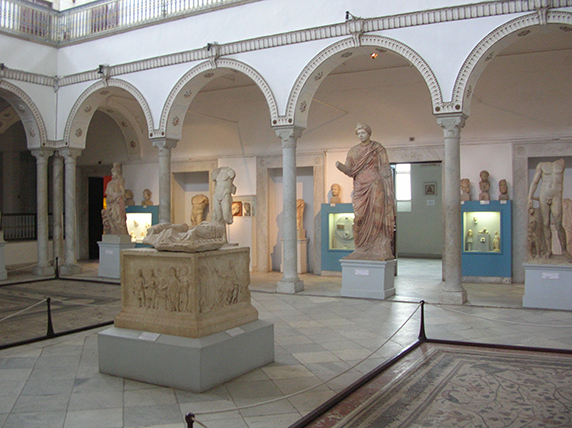 With regard to cultural activities, Algiers hosted the event of Algiers: capital of Arab Culture 2007, followed by the African Festival in 2009. 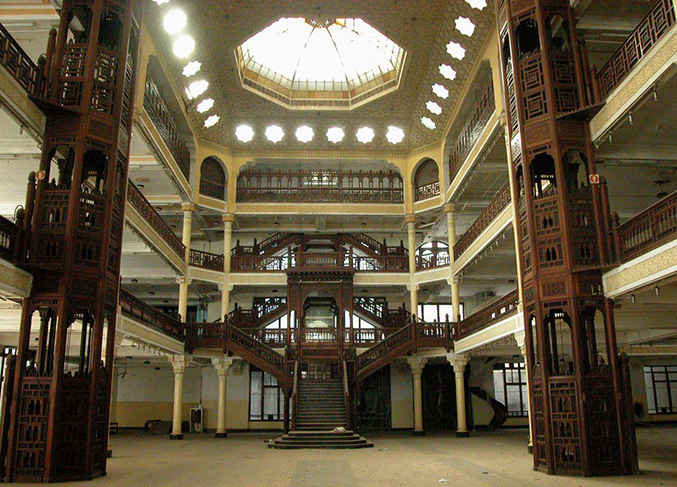 In addition of being a space for reading and borrowing books, the National Library hosts a variety of cultural activities such as seminars, conferences, literary soirées, exhibitions, etc. 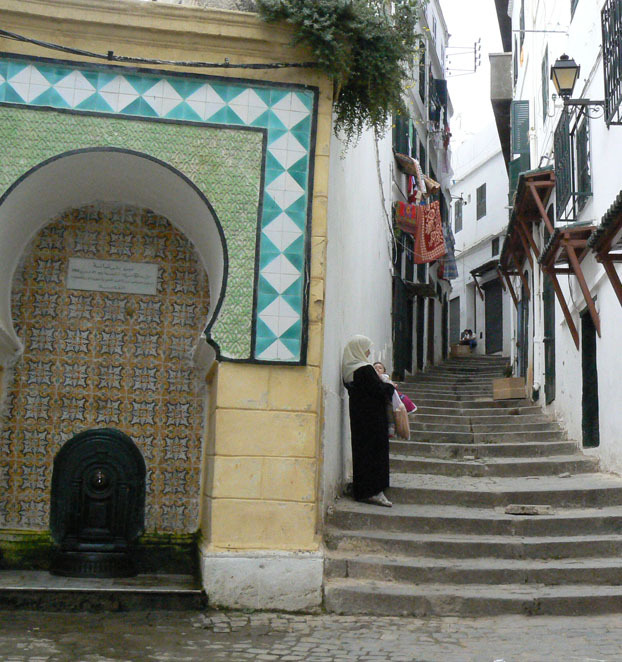 Didouche Mourad Street, one of the most active streets in Algiers, contains many libraries. As for cinemas, they are scattered about the neighborhoods of Algiers. Movies are shown only in French language (as for foreign movies).